Complete antenna and radio system integration provides revolutionary cost/performance solutions to the Worldwide Broadband Industry. Robust and Simple Product Design. Can be oriented to use either vertical or horizontal polarization. Mechanical design provides complete weatherproof performance. 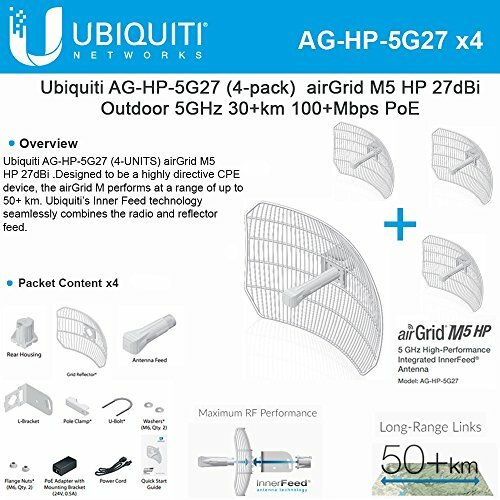 Grid products utilize Ubiquiti's revolutionary AirMax TDMA protocol enabling scalable, carrier-class Pt - Control application allows operators to centrally manage 100's of devices.